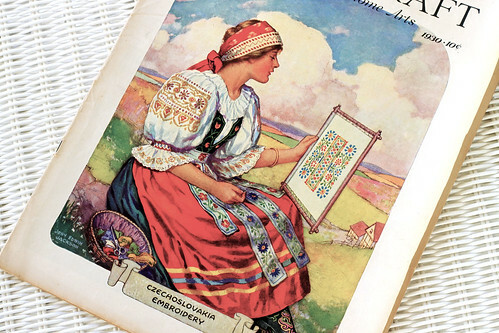 I love the illustrations on the old “NeedleCraft” magazines. Here is another favorite of a girl stitching out of doors on a bright and beautiful day. I hope everyone is having a wonderful Saturday! This entry was posted on Saturday, October 17th, 2009 at 3:00 am and is filed under Book and Needlework. Tagged: Book, Needlework. You can feed this entry. You can leave a response, or trackback from your own site.